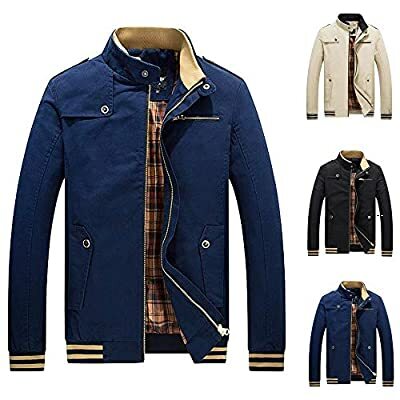 Size:M ?Bust:102cm/40.2" ?Shoulder:42.5cm/16.7" ?Length:64cm/25.2" ?Sleeve:62cm/24.4"
Size:L ?Bust:106cm/41.7" ?Shoulder:44cm/17.3" ?Length:66cm/26.0" ?Sleeve:63.5cm/25"
Size:XL ?Bust:110cm/43.3" ?Shoulder:45.5cm/17.9" ?Length:68cm/26.8" ?Sleeve:65cm/25.6"
Size:XXL ?Bust:114cm/44.9" ?Shoulder:47cm/18.5" ?Length:70cm/27.6" ?Sleeve:66cm/26.0"
Size:XXXL ?Bust:118cm/46.5" ?Shoulder:48cm/18.9" ?Length:71.5cm/28.1" ?Sleeve:67cm/26.4"
Size:XXXXL ?Bust:120cm/47.2" ?Shoulder:50cm/19.7" ?Length:72.5cm/28.5" ?Sleeve:68cm/26.8"
?Please allow 1-2cm measuring deviation due to manual measurement. ?Please check the Size Chart before order. If you're not sure the size, please send message to us. Standard Shipping: ---14-28 Days. Carrier: Order amount is over $5 shipped by USPS.
? POHOK focuses on clothing and shoes, and is committed to creating affordable products. Choose POHOK and get a surprise! ? Material:?Cotton Blend? ?Season:Winter ?Style:Casual,Daily ? Imported ?Long Sleeve ?Collar:Turtleneck ?Pattern:Solid ?Thickness:Standard ?Gender:Men ? Winter Warm Jacket Overcoat Outwear Slim Long Trench Zipper Coat! ? We have a perfect return policy and customer service to help our customers solve problems.